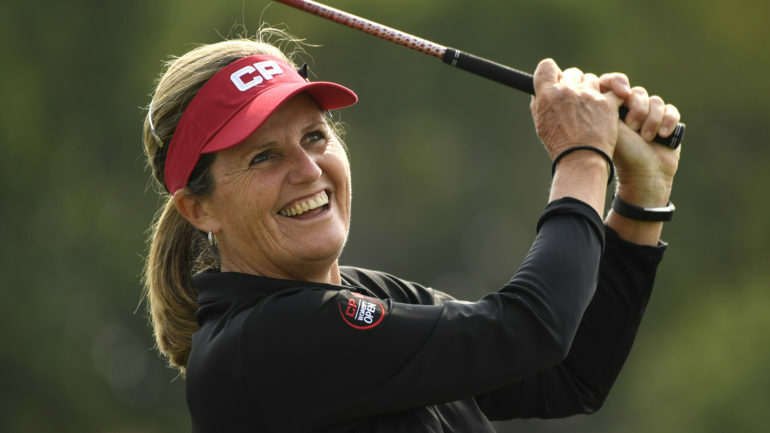 REGINA – It’s a walk that never gets old for Canadian Golf Hall of Famer Lorie Kane. She received a warm ovation as she strolled up the 18th fairway Friday after making a record-tying 28th appearance at the CP Women’s Open. The 53-year-old from Charlottetown struggled in both rounds at the Wascana Country Club. 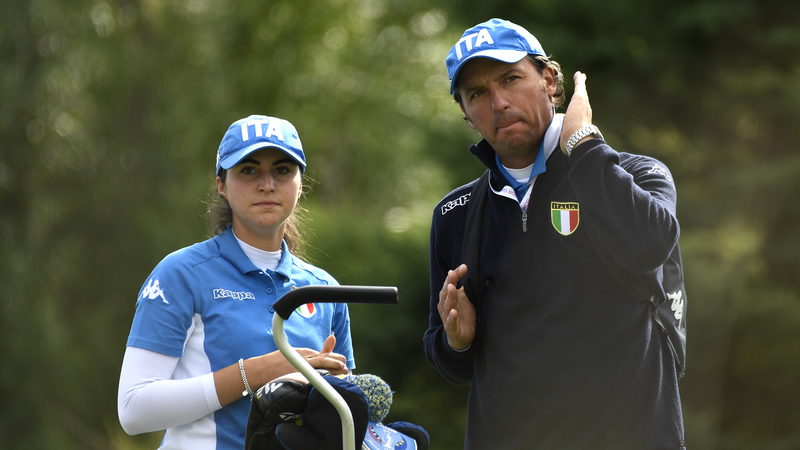 She missed the cut after shooting a 77 on Friday, a day after opening the tournament with an 83. Brooke Henderson was the low Canadian as the last few groups finished second-round play. She shot a second straight 66 for a 12-under-par 132 total, one shot behind clubhouse leader Amy Yang of South Korea. A total of 16 Canadians entered the tournament but most will miss the cut. Anne-Catharine Tanguay of Quebec City (71) was a good bet for weekend play at 3-under 141, one stroke better than the projected cut line. Bubble players included Alena Sharp of Hamilton, amateur Celeste Dao of Notre-Dame-de-l’Ile-Perrot, Que., and Maude-Aimee LeBlanc of Sherbrooke, Que. They were all on the windswept course in the late afternoon. Brittany Marchand of Orangeville, Ont., (73) and Victoria amateur Naomi Ko (79) finished at 3-over-par 147, one stroke ahead of Vancouver amateur Tiffany Kong (72). Saskatoon’s Anna Young (75) was at 153 and Calgary’s Jennifer Ha (79) was at 154. Saskatoon’s Anna Young, Augusta James of Bath, Ont., Elizabeth Tong of Thornhill, Ont., Megan Osland of Kelowna, B.C., Ellie Szeryk of London, Ont., and Saskatoon native Bobbi Brandon were all well back with late tee times. Kane plays the occasional event on the LPGA Tour and also keeps busy with appearances on the Legends Tour. Quick with a smile and always keen to sign autographs and chat with fans, she remains as popular as ever. That’s a wrap for the Championship Pro-Am. See you tomorrow for Round 1 of the #CPWO! Like Henderson, Kane’s picture is featured on promotional banners around the course and she has become an ambassador for the game throughout the country. Kane took part in a charity clinic this week and was also a featured speaker at a women’s leadership panel. She believes in a ‘Lift and Climb’ philosophy so that others can benefit. Longtime golf analyst Bob Weeks of TSN said Kane is very passionate about her work on and off the course. 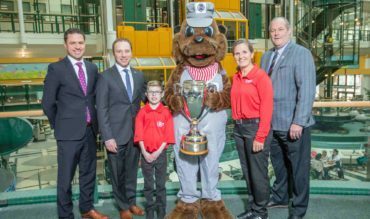 Kane has been the low Canadian at this tournament on nine occasions – eight outright and one tie – with her best result coming in 2001 with a third-place tie. After hitting the 18th green with her approach shot on Friday, Kane acknowledged the supporters by taking off her red visor and waving at the crowd. The four-time LPGA Tour winner shares the tournament’s all-time appearance record with JoAnne Carner. The mark will likely be broken next year at the Magna Golf Club in Aurora, Ont. In fact, chances are good that Kane will receive an exemption to participate for as long as she wants to continue to playing at the event.